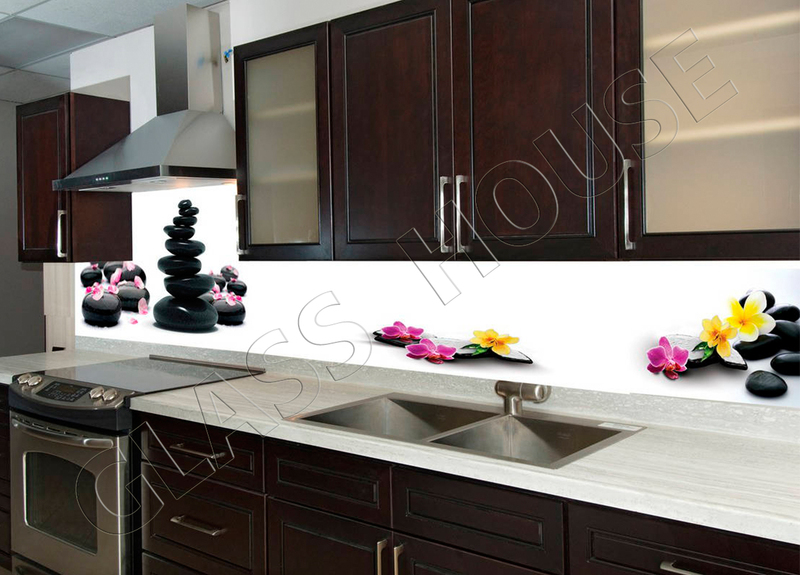 Purity and elegance in every corner of your house. 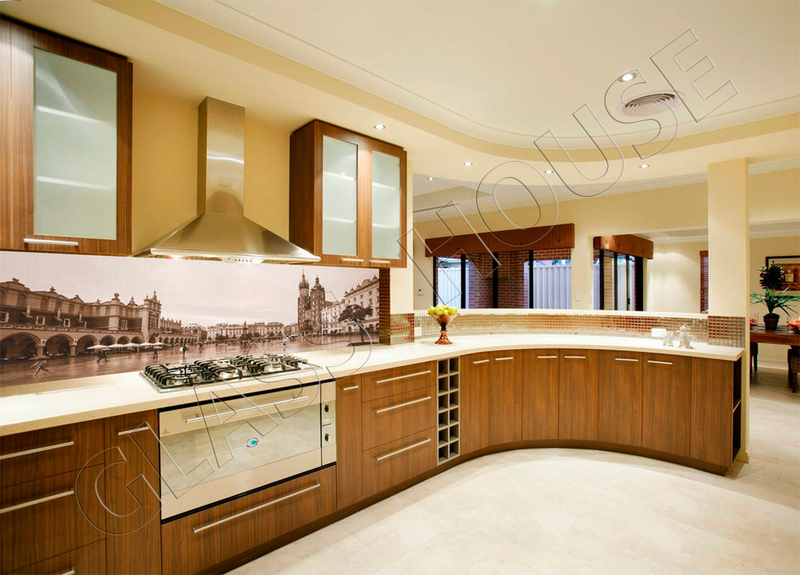 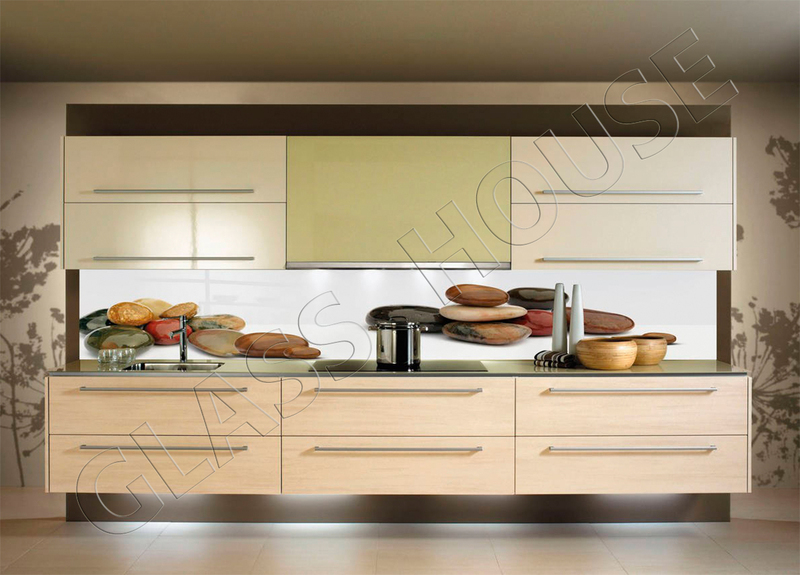 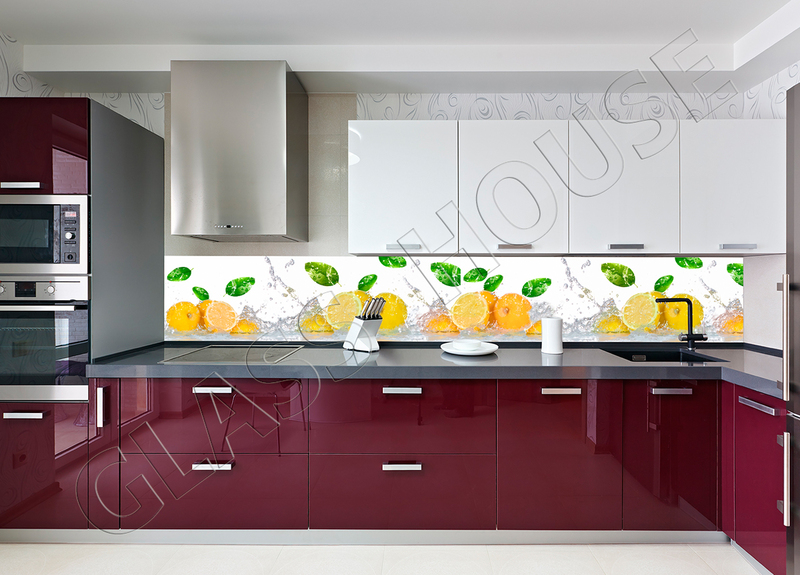 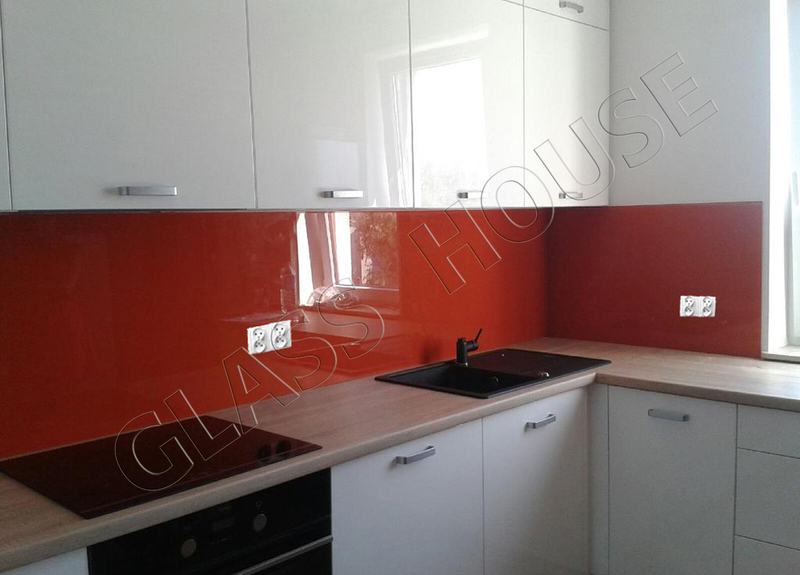 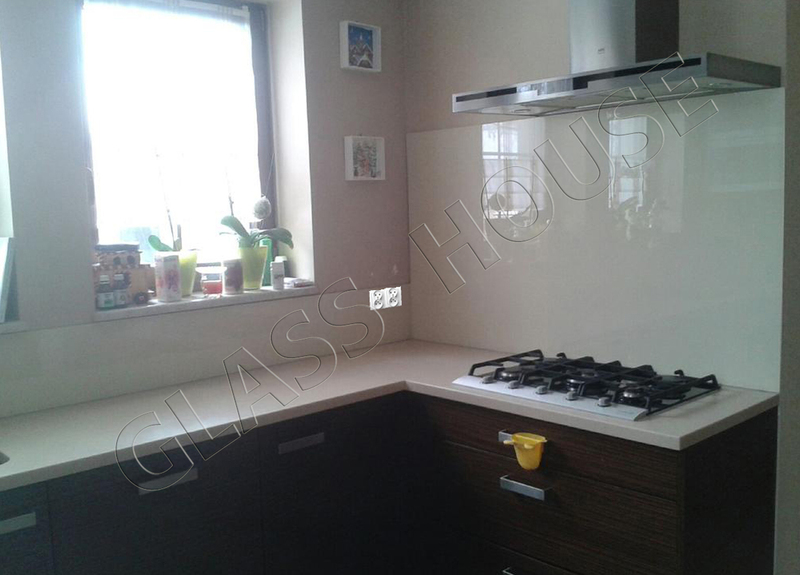 Elegant and modern design as well as many practical aspects made glass the most popular decorative & finishing material, also in the kitchen. 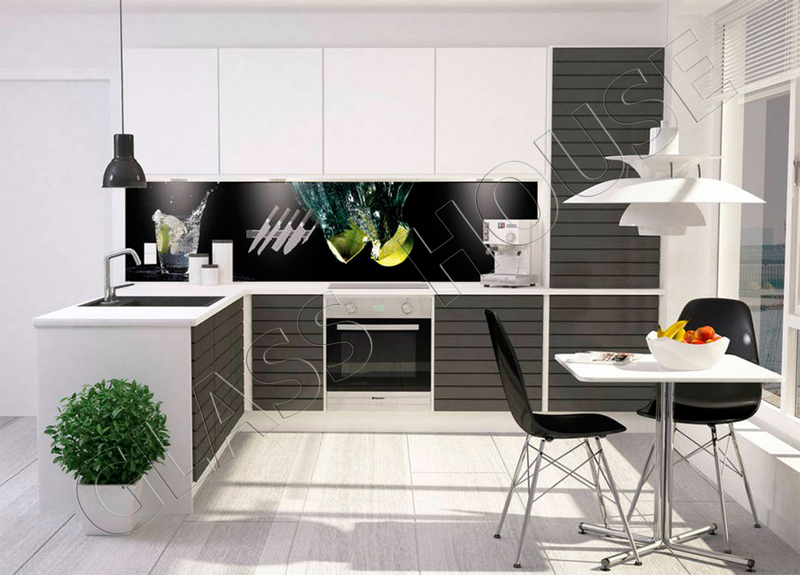 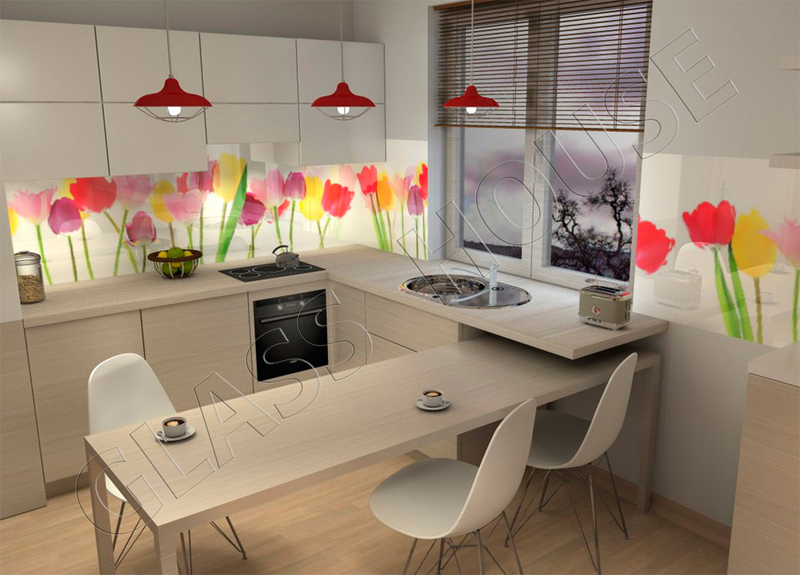 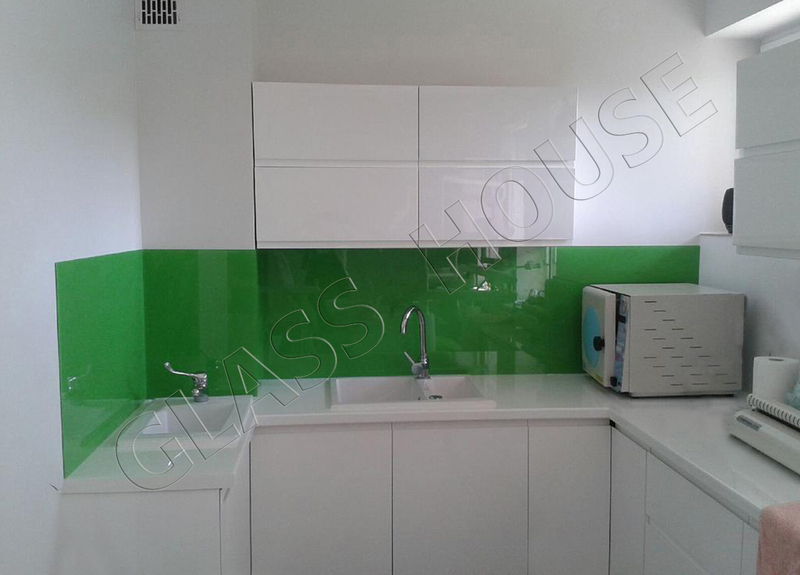 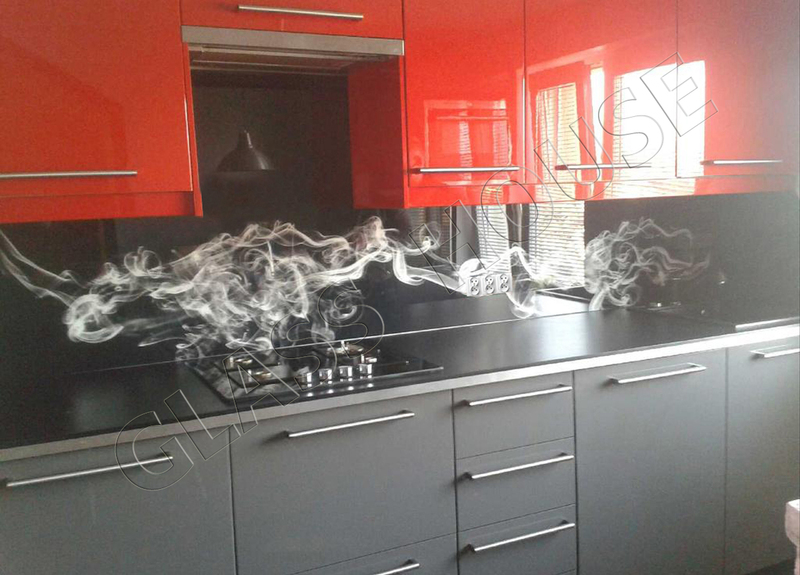 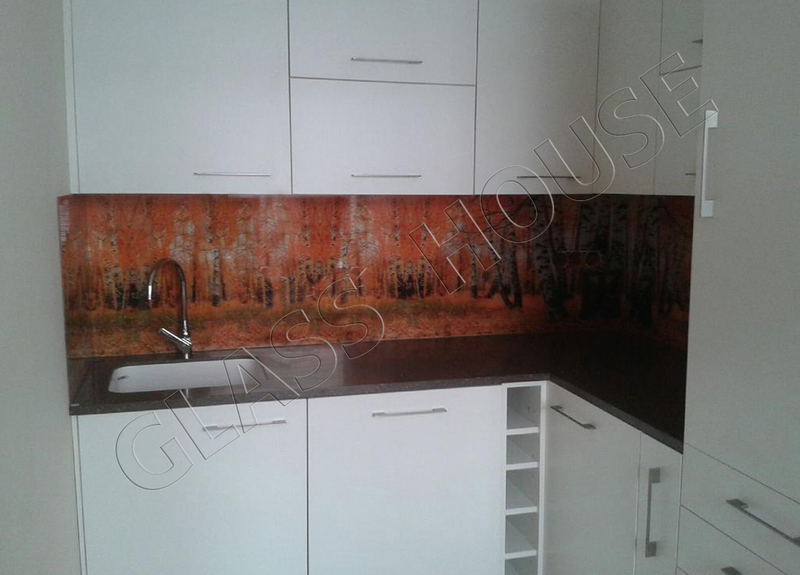 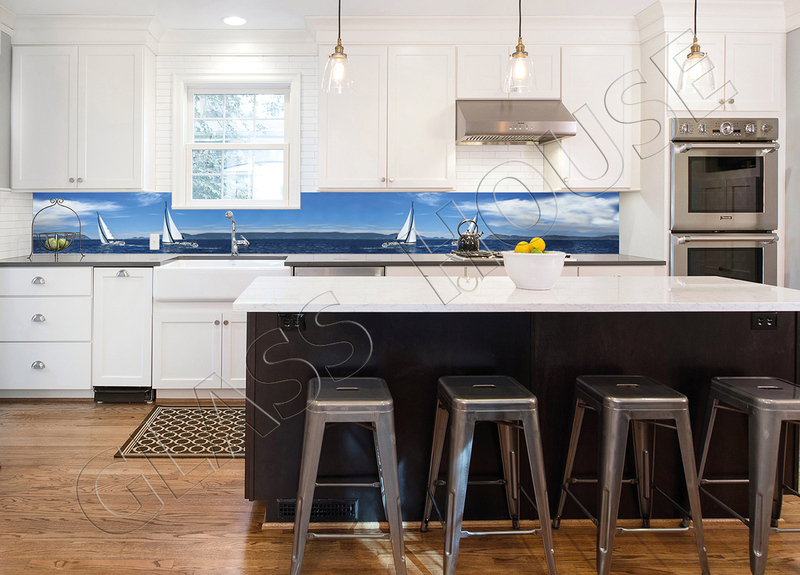 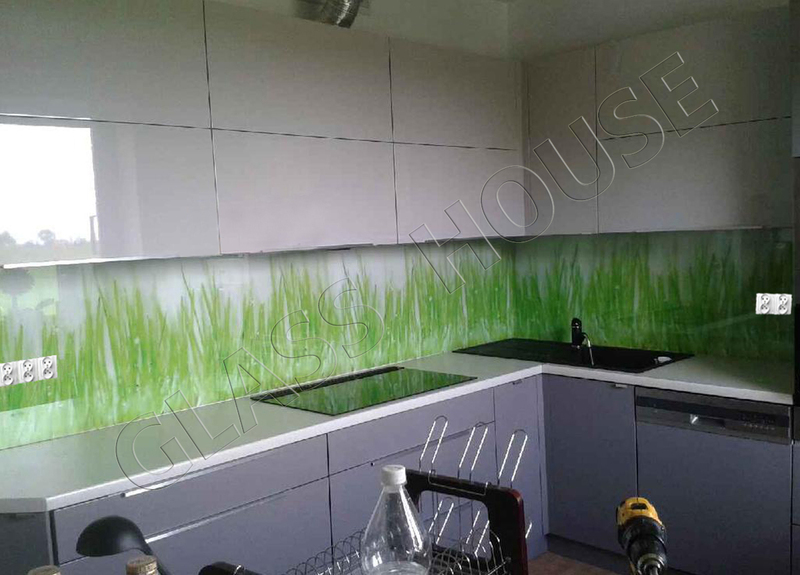 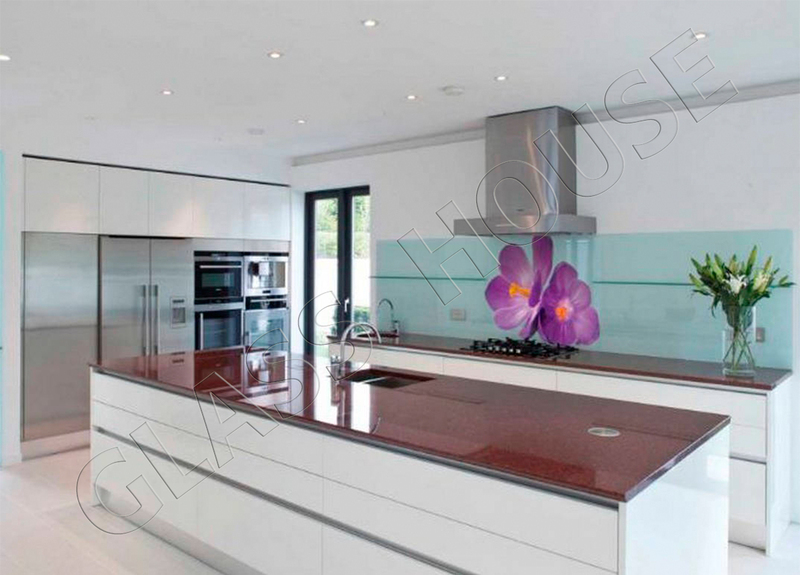 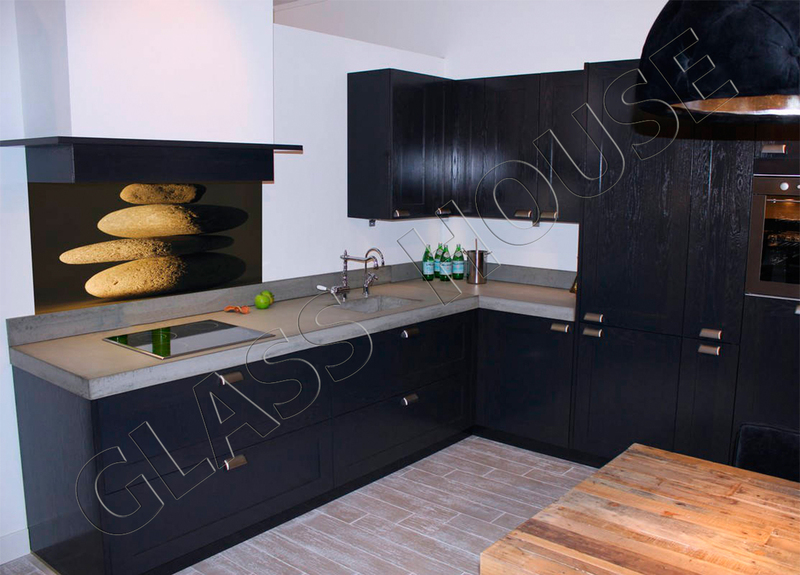 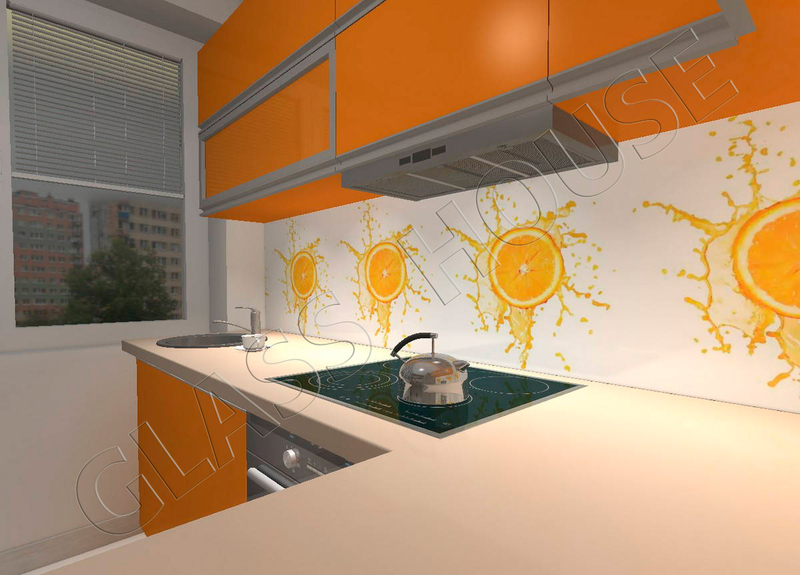 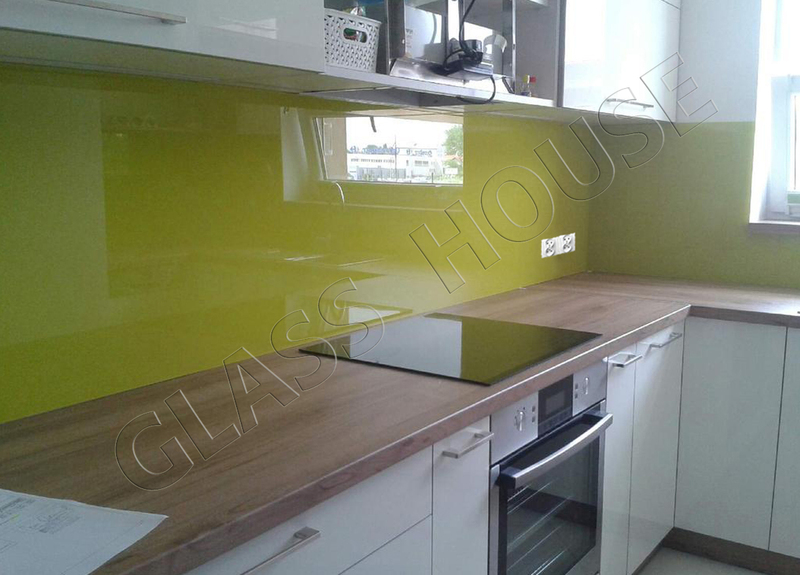 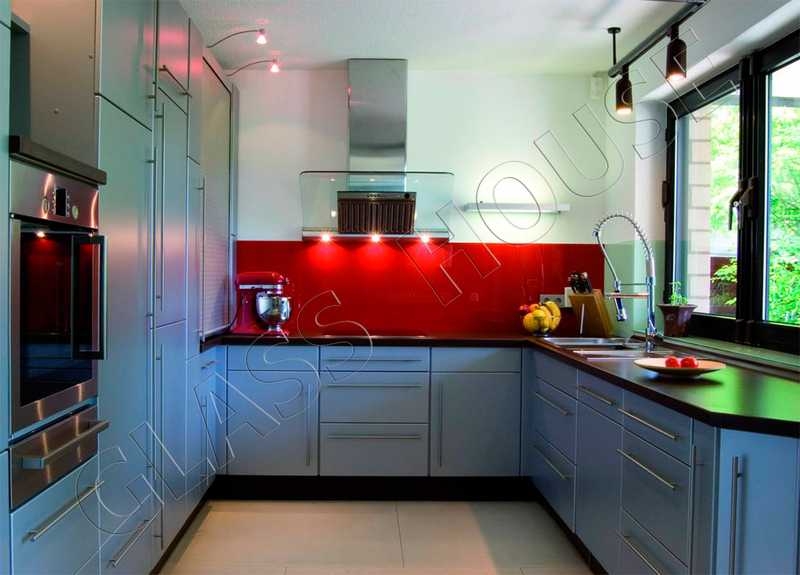 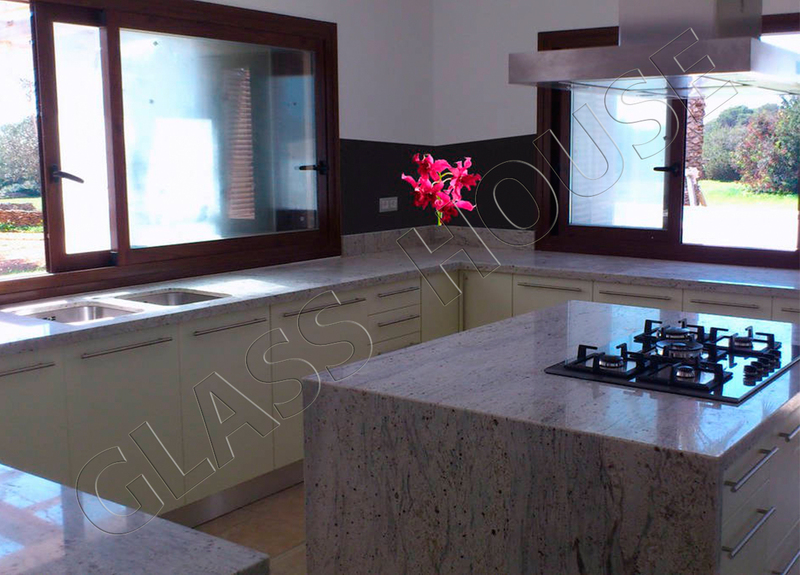 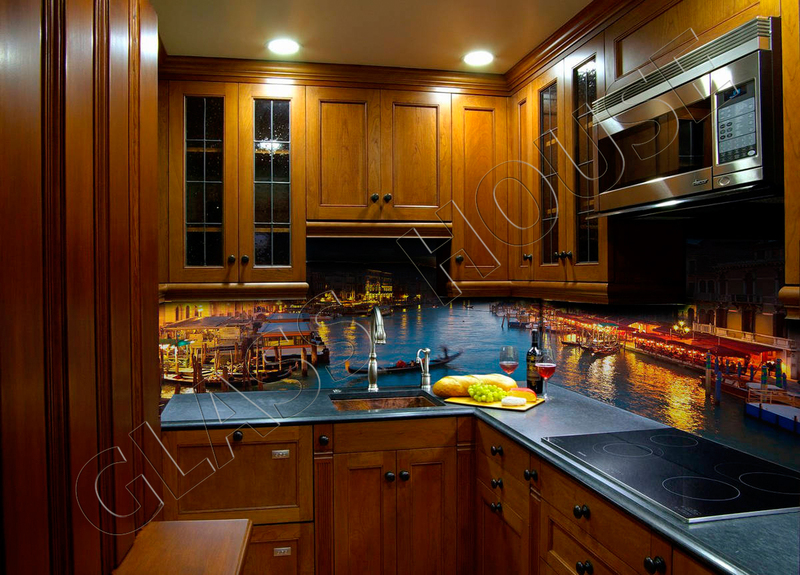 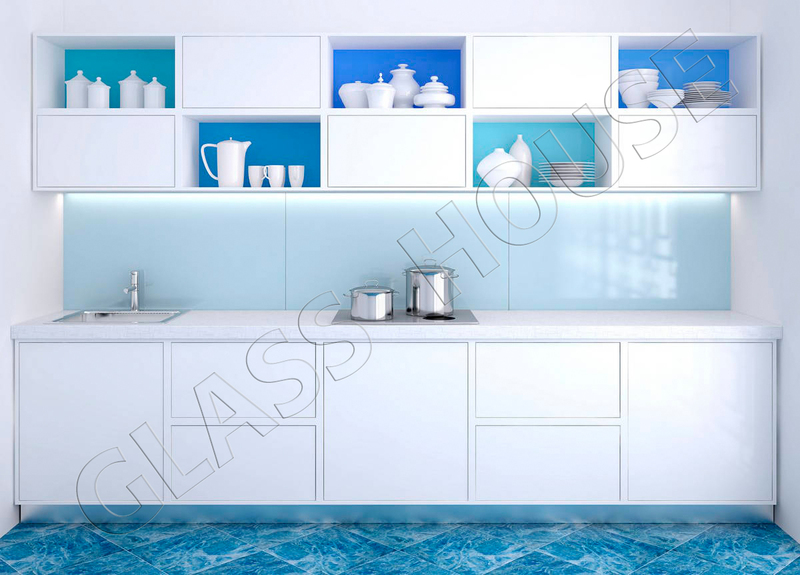 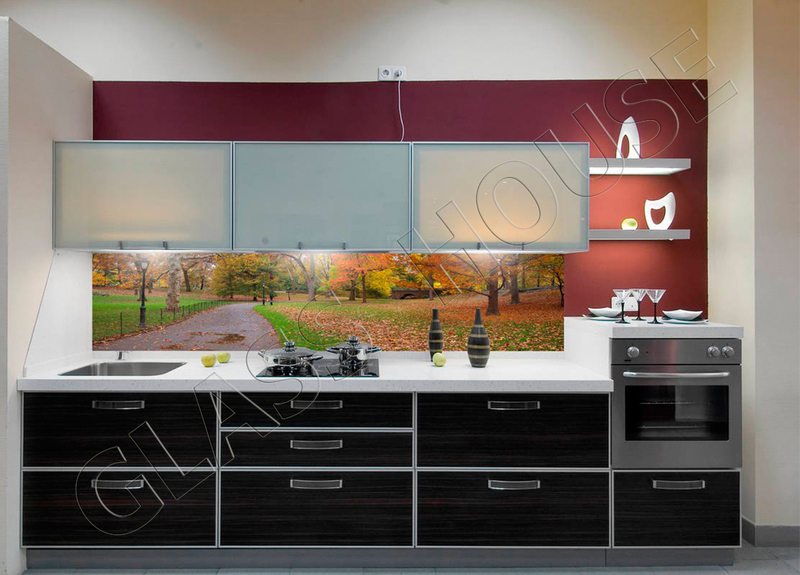 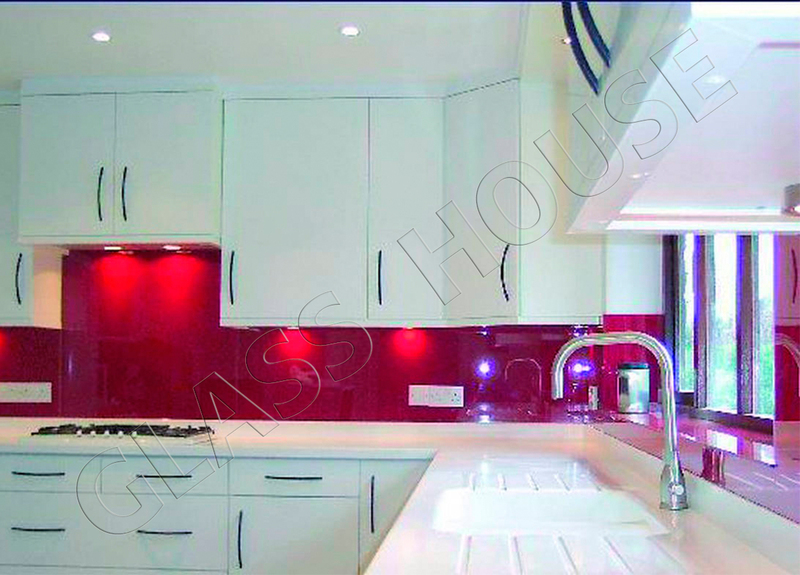 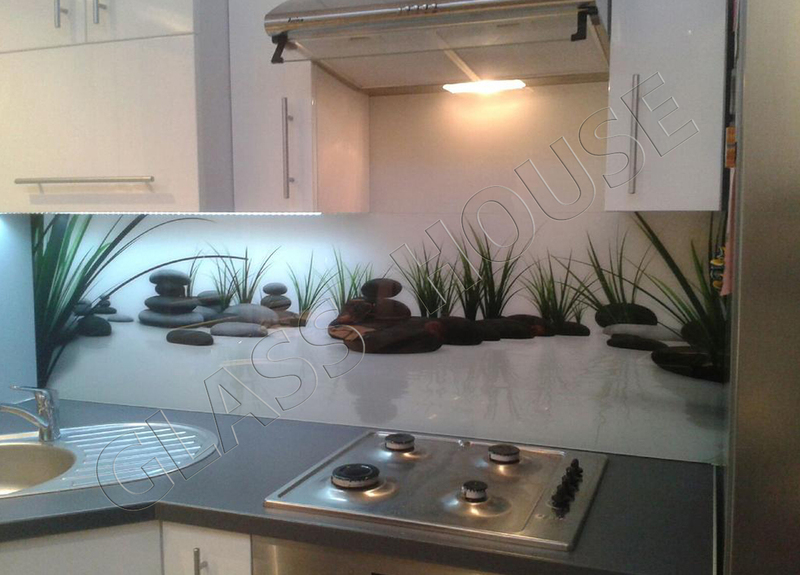 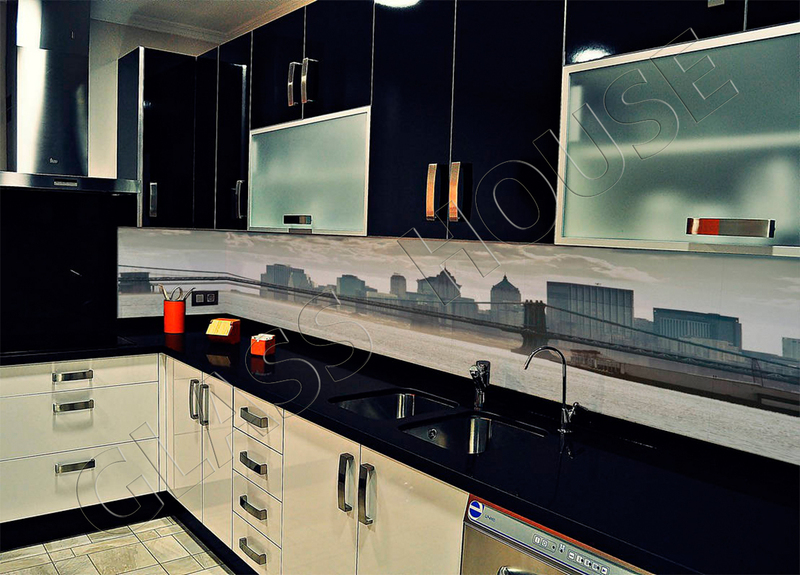 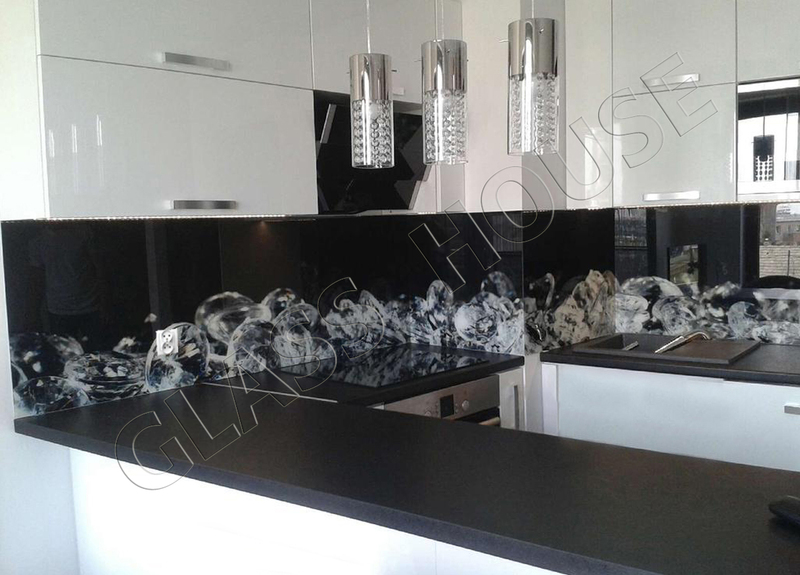 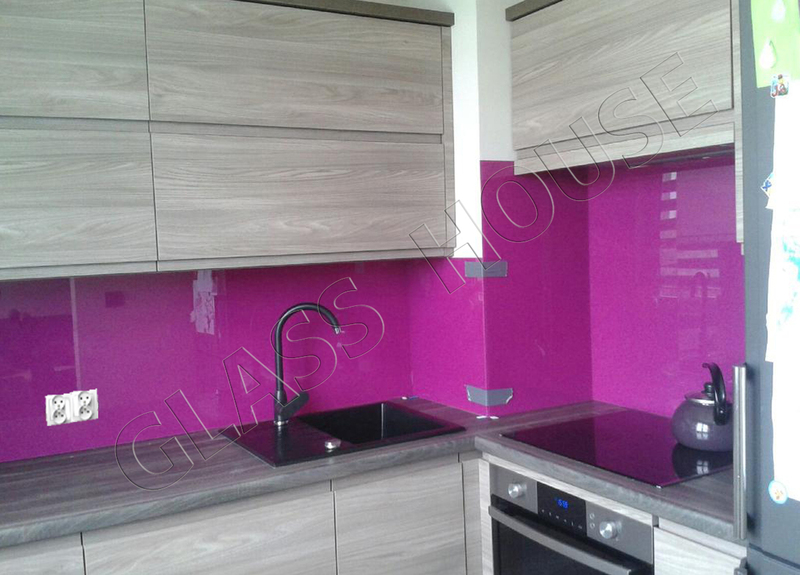 Easy maintaining of the cleanliness of glass surfaces is the reason why more and more clients are deciding to develop the space between kitchen furniture with glass, replacing kitchen tiles which used to be the most popular in the past. 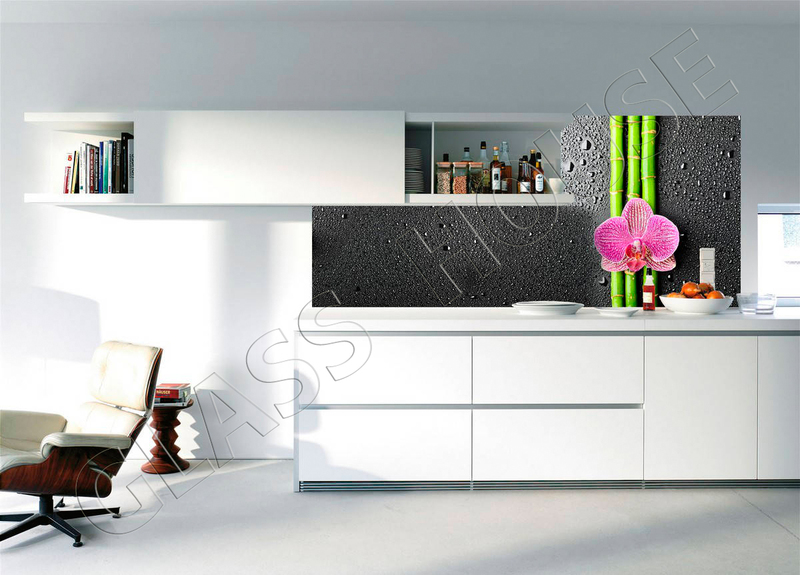 It’s a great solution to protect beautifully painted wall or wallpaper. 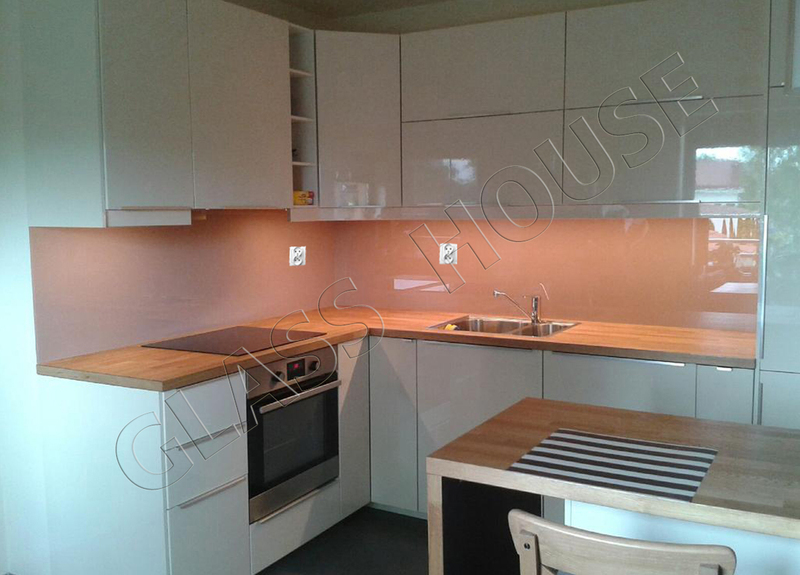 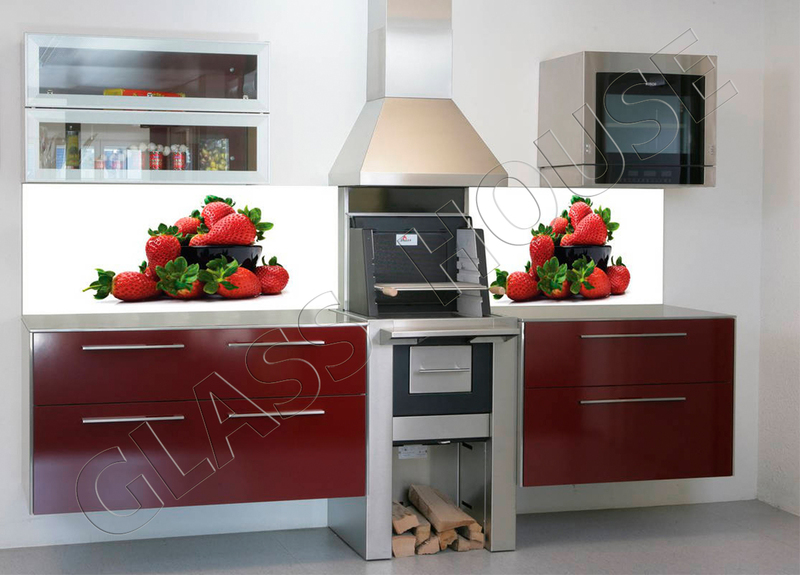 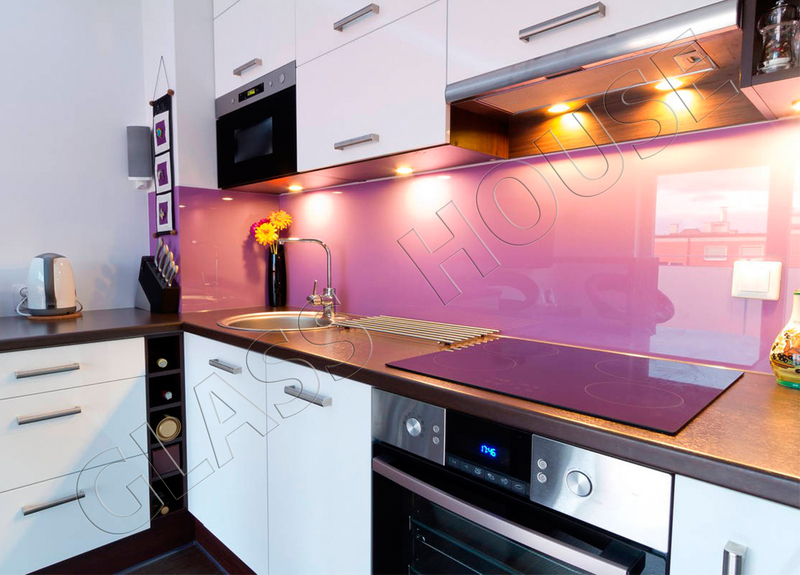 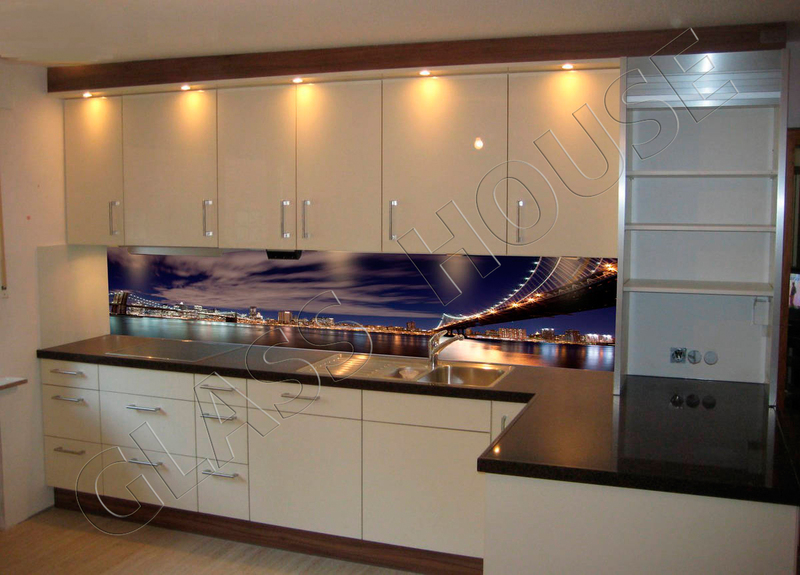 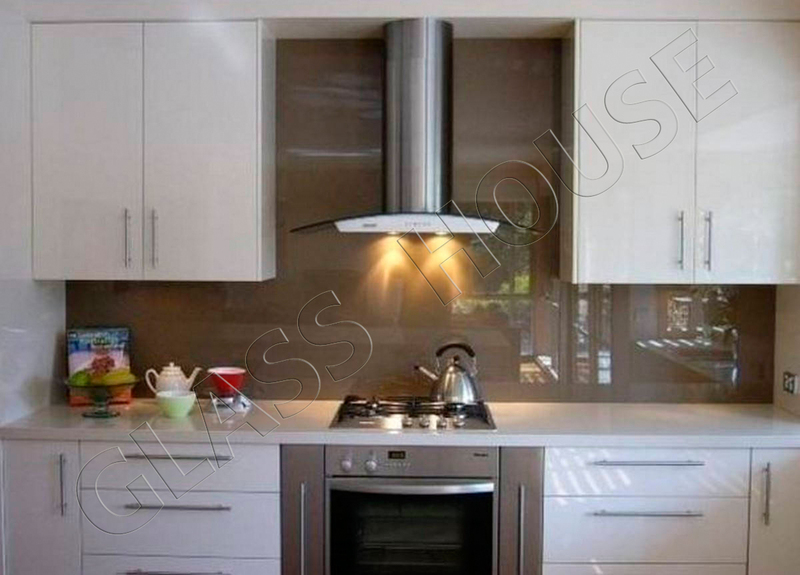 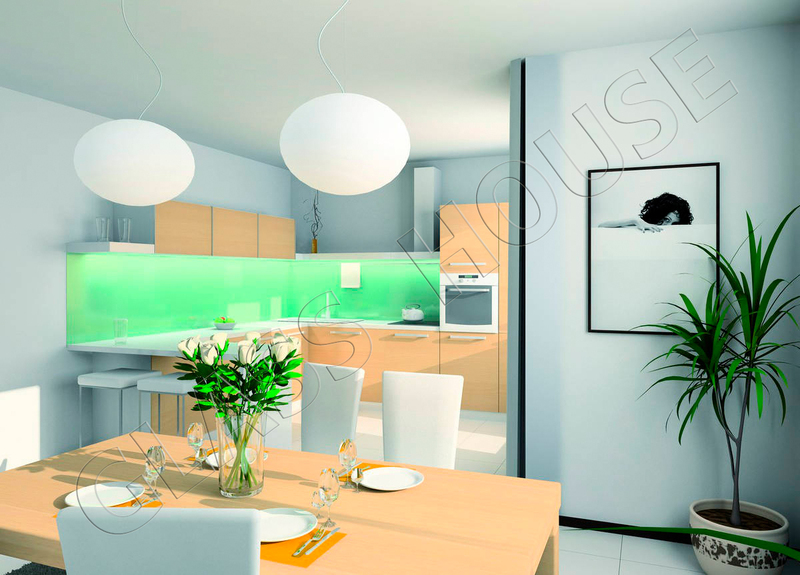 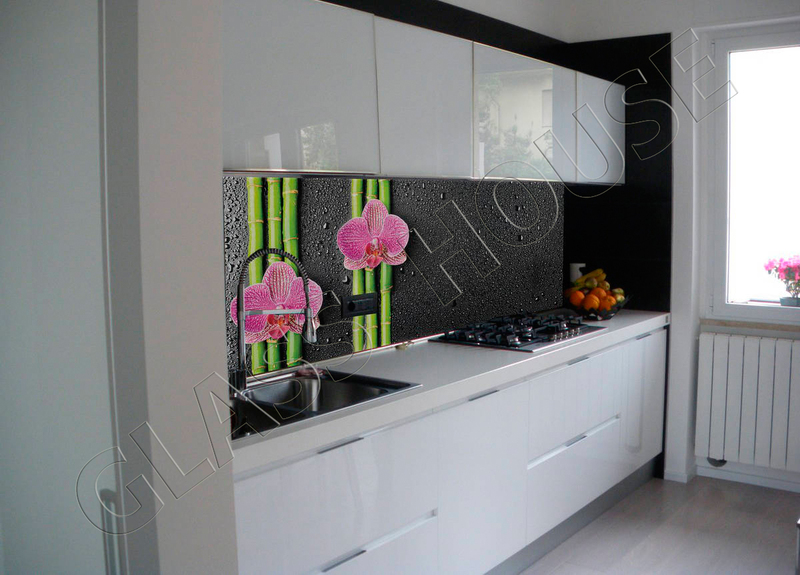 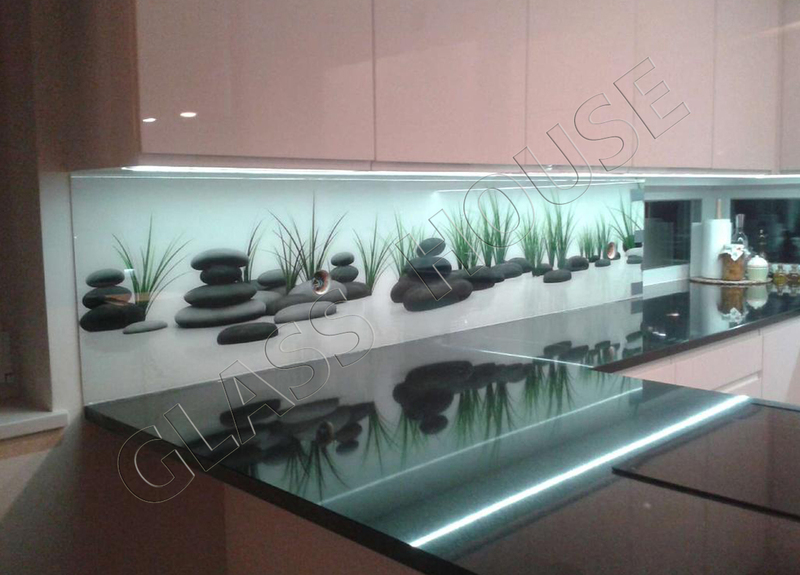 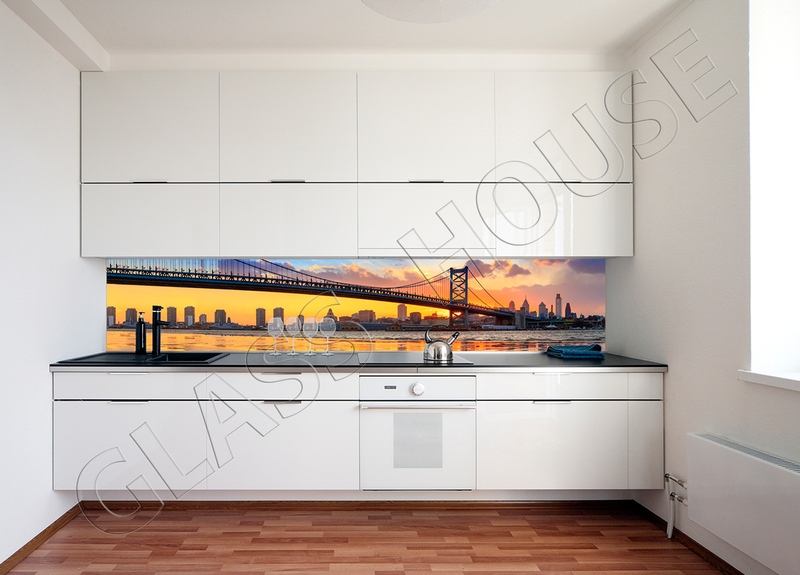 Glass is mounted with special screws and it protects the wall from greasiness, scratches and other damages. 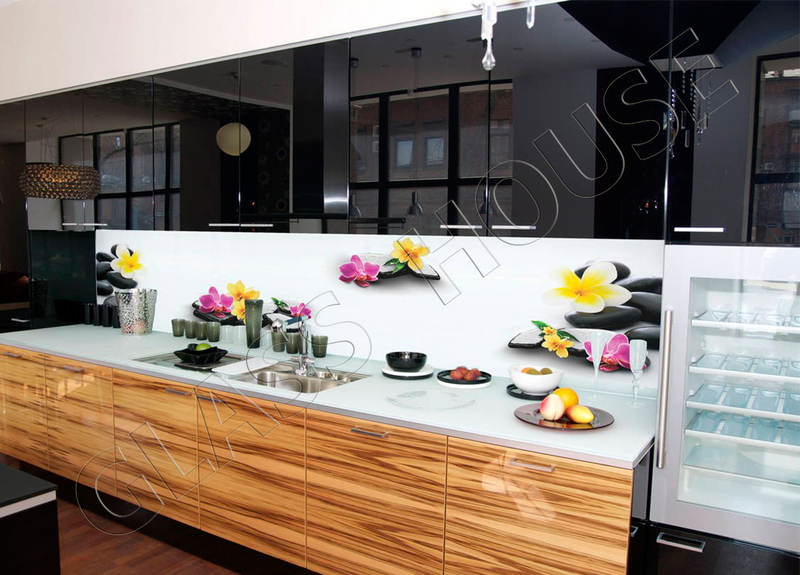 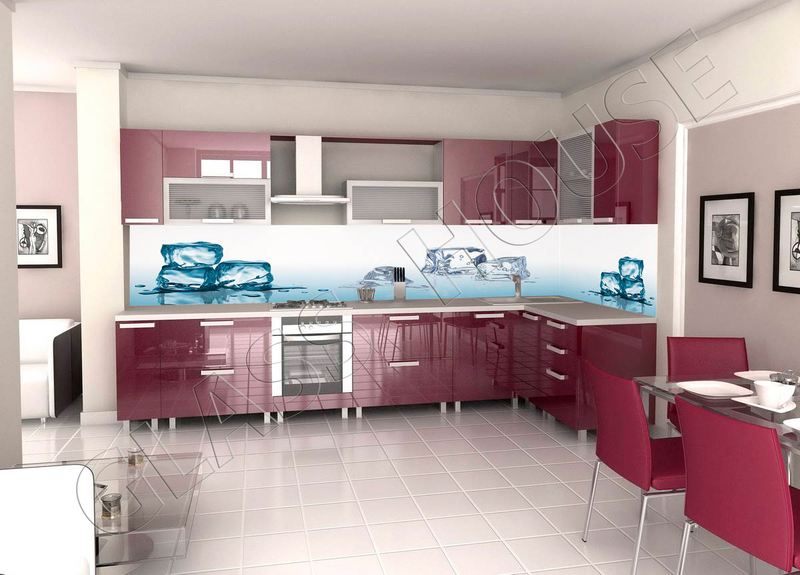 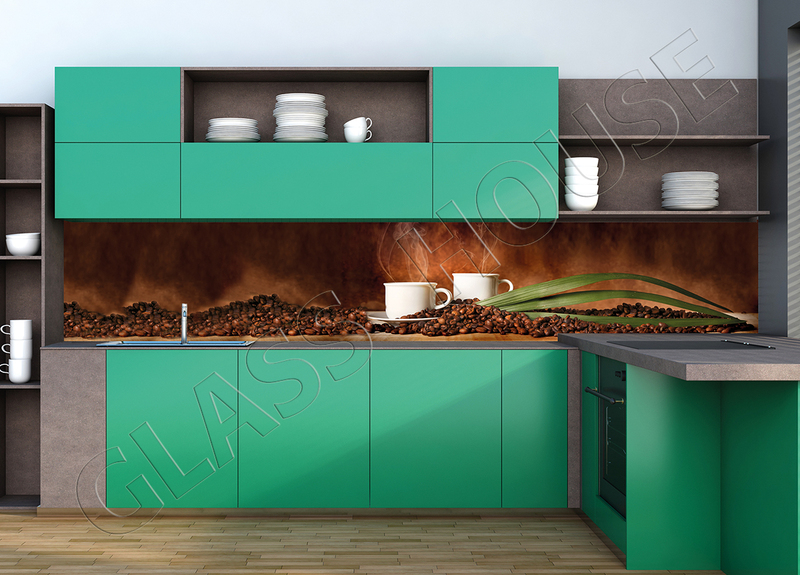 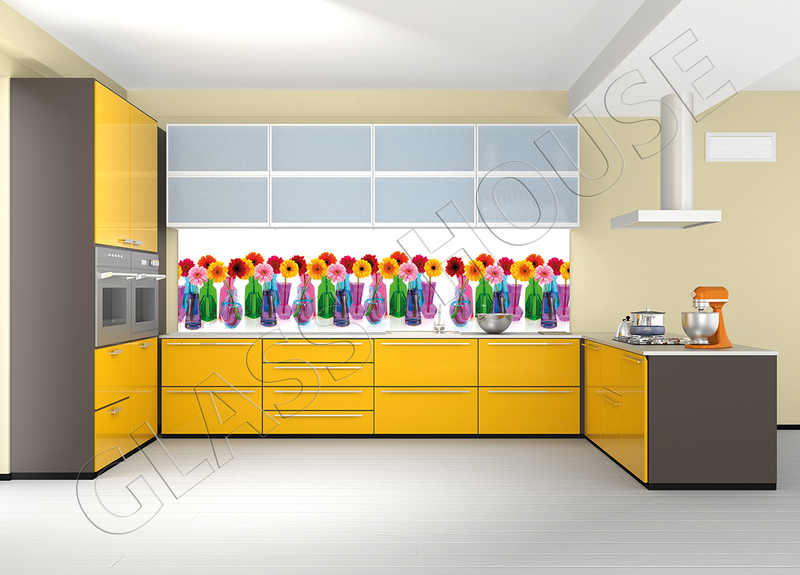 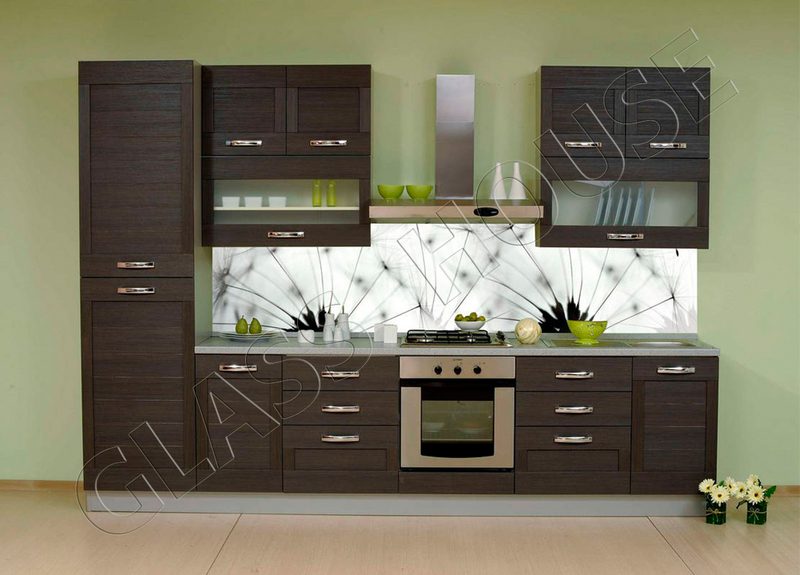 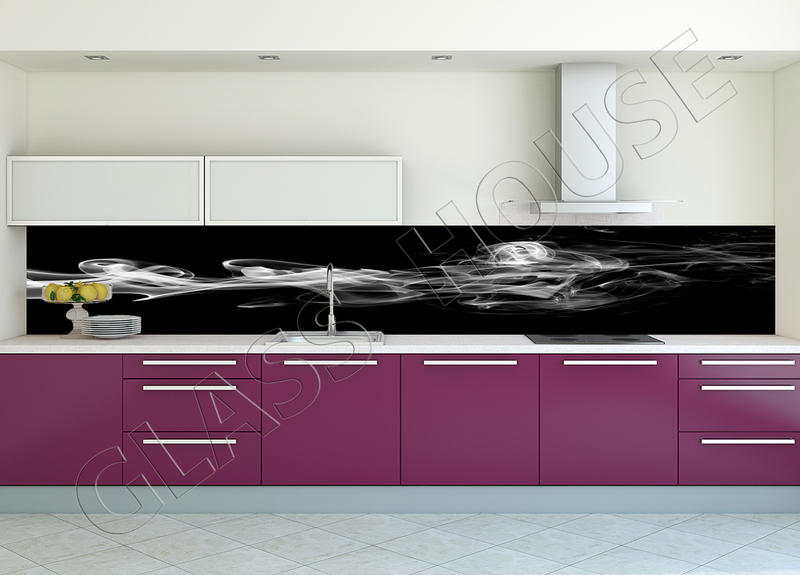 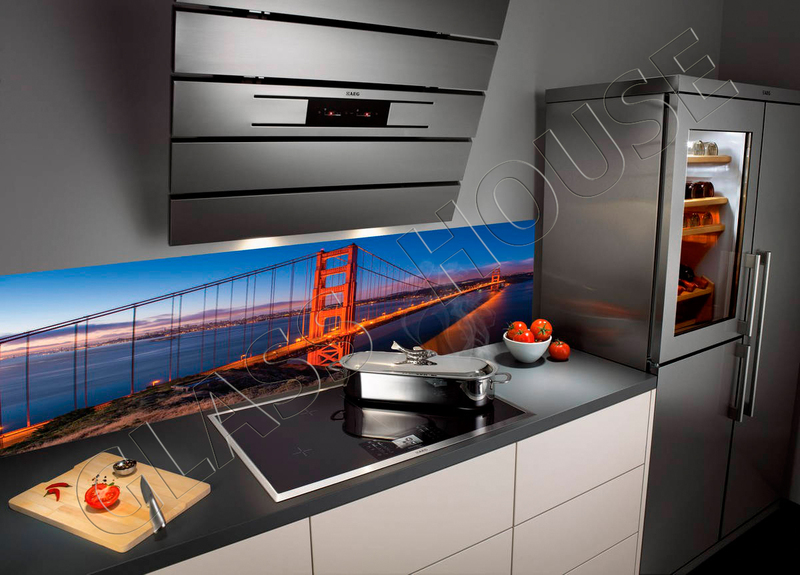 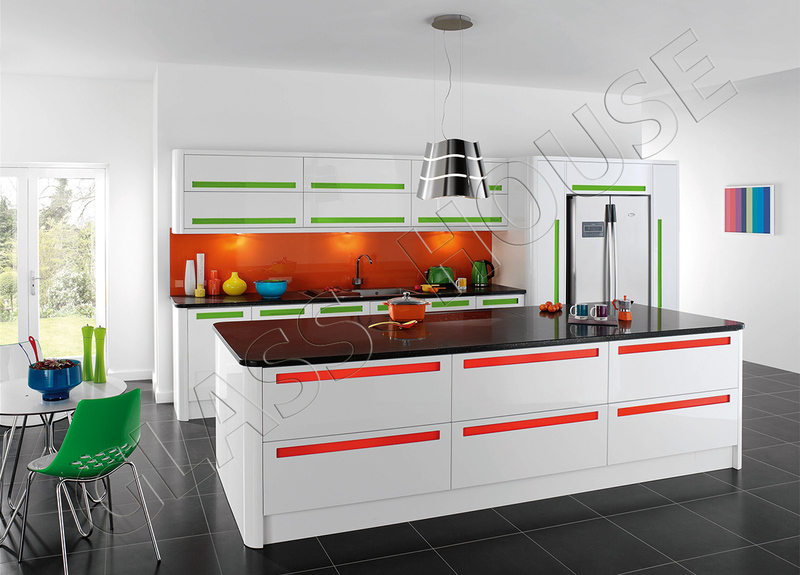 Lakobel is the name of glass which is factory-made, lacquered glass. 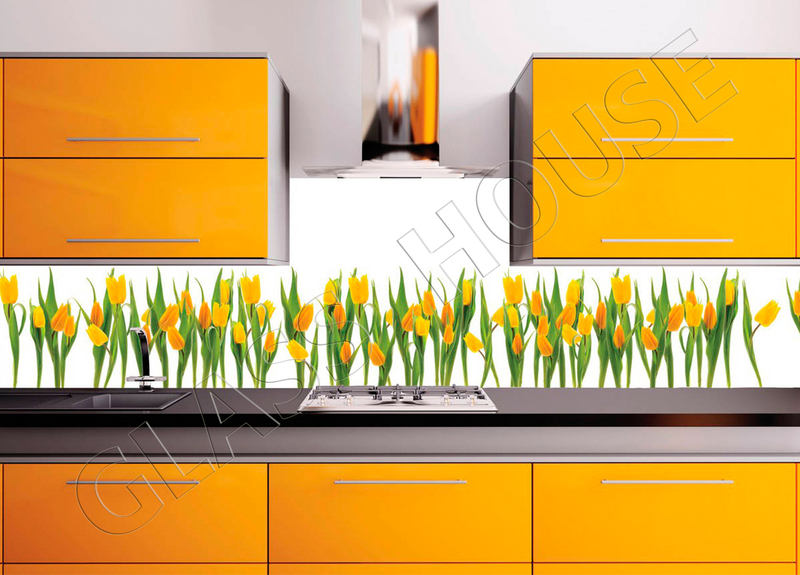 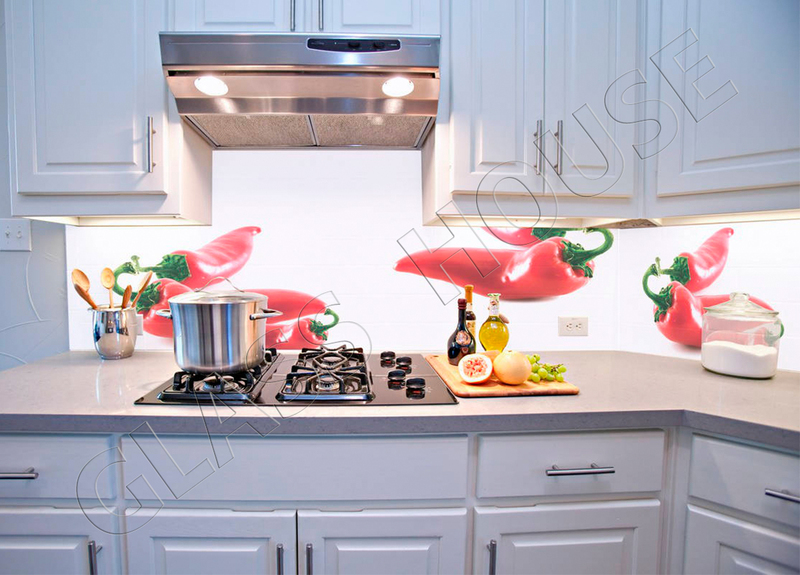 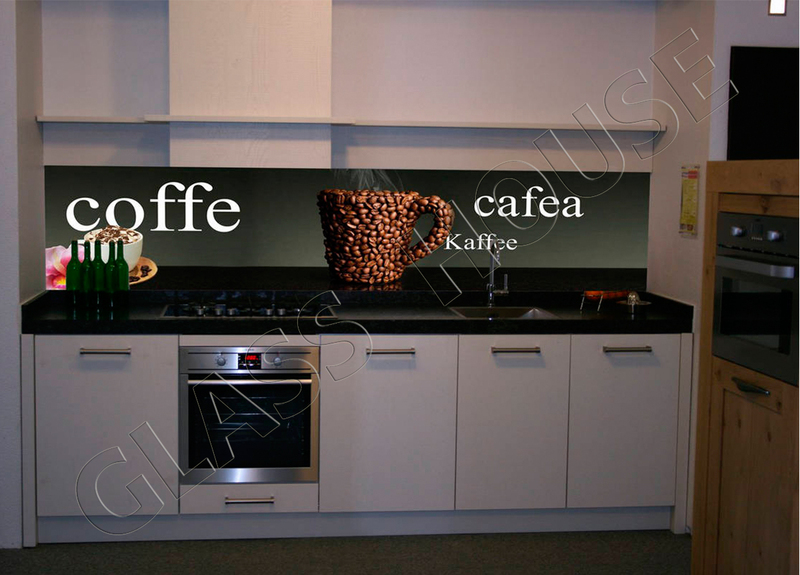 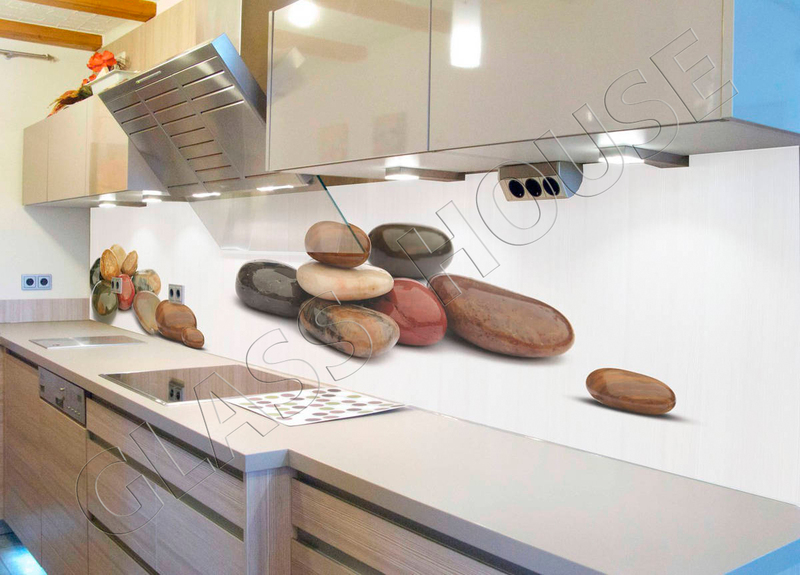 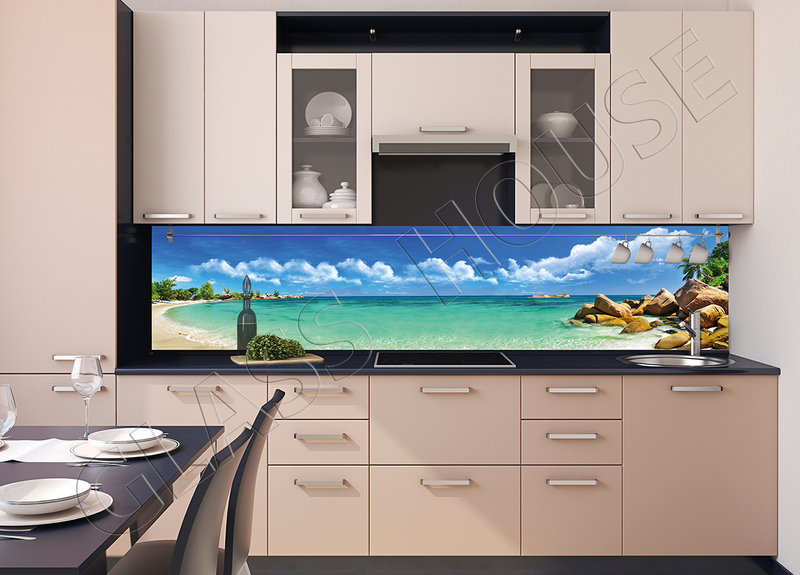 It’s a great idea to apply it as a decoration of walls in the kitchen. 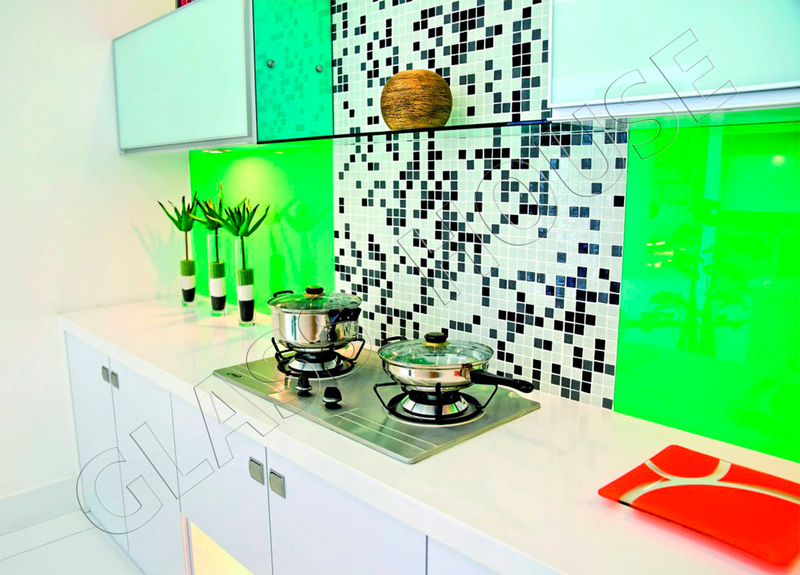 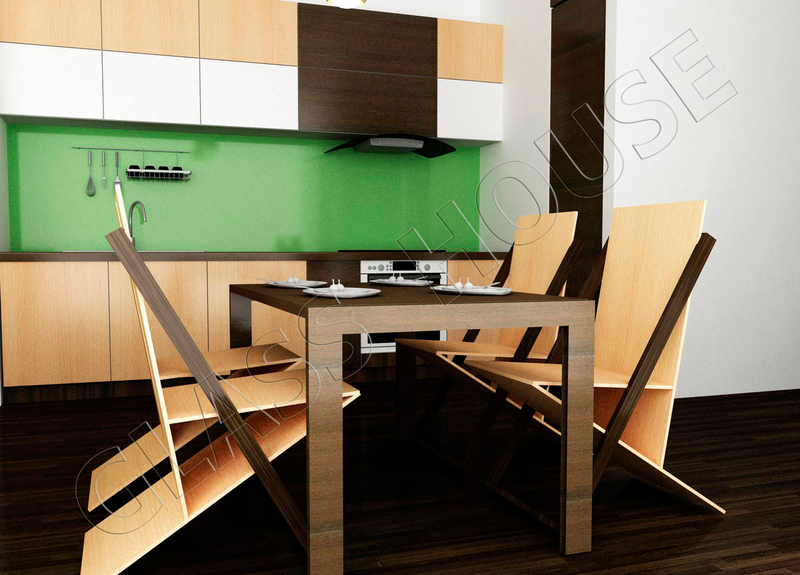 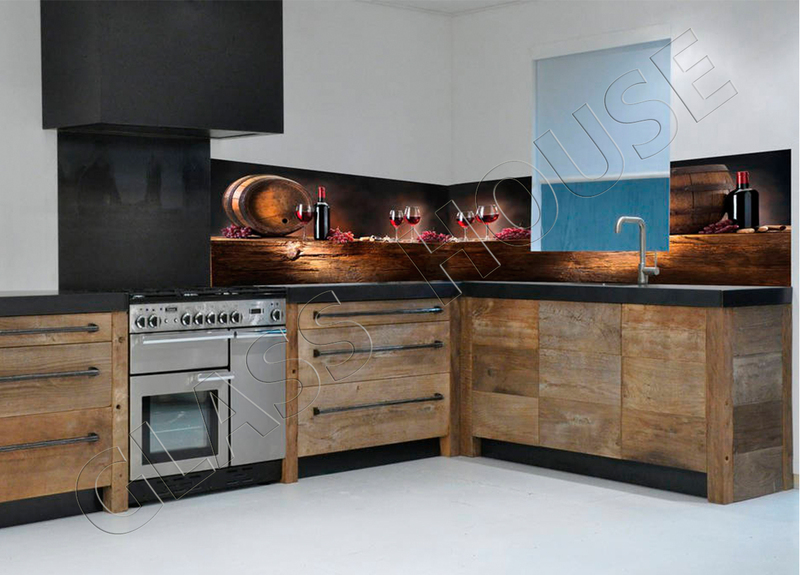 In modern interiors that solution is often used instead of traditional tiles. 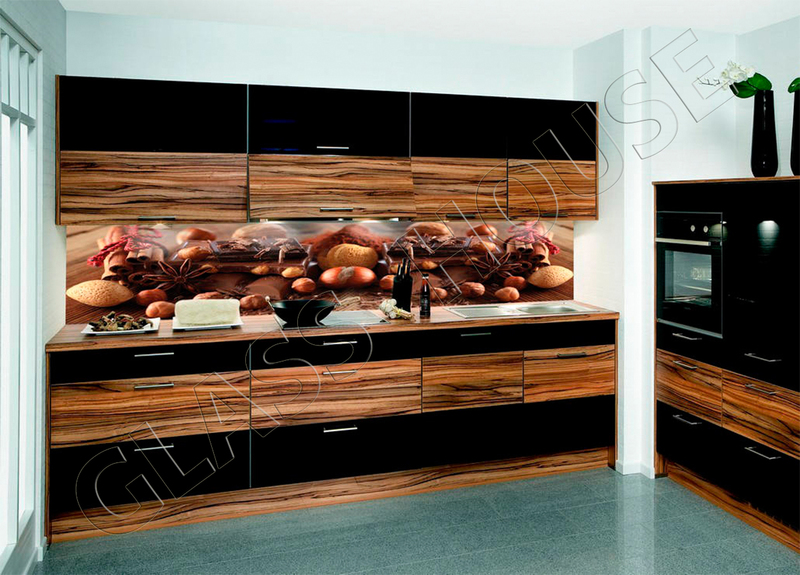 Because of the fact that there is no possibility to temper it, it mustn’t be applied next to the gas cooker. 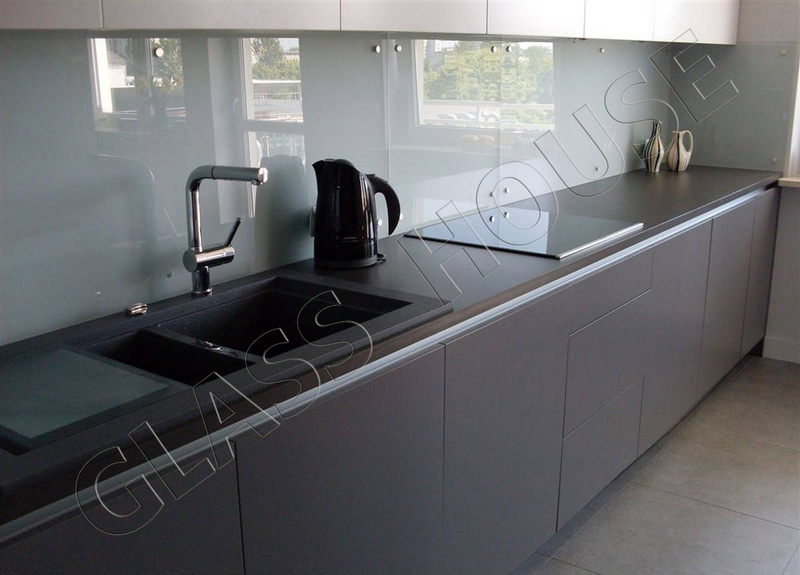 In such cases we recommend tampered glass, which is more resistant and it is available in all colours included in the RAL palette as well as the NCS one with nearly two thousands colour choices! 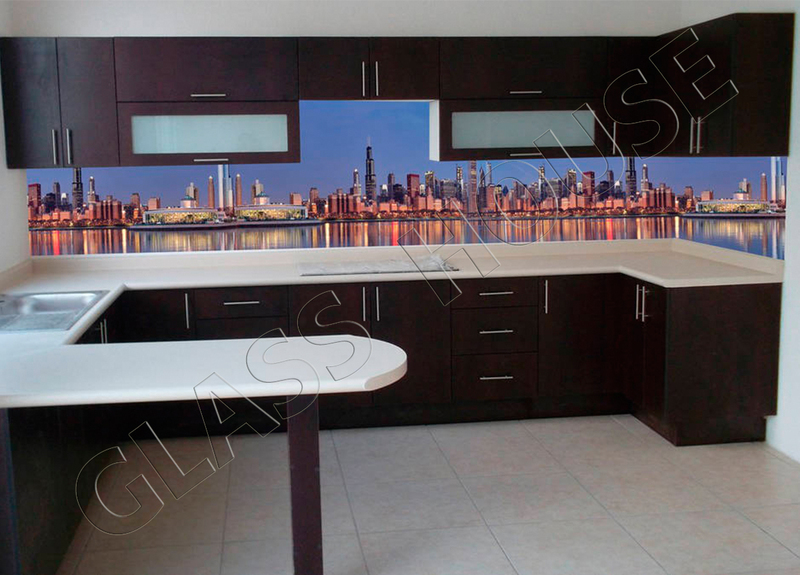 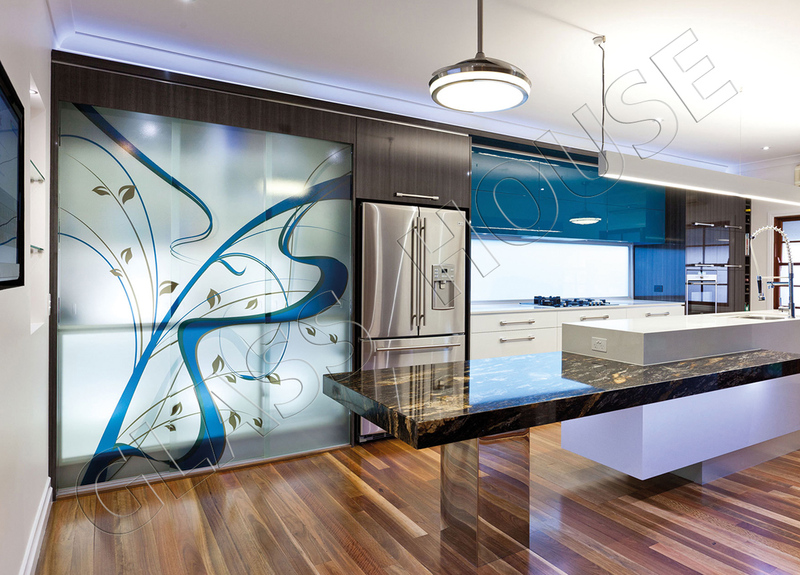 Printed glass is a great solution for individuals and lovers of unusual trends. 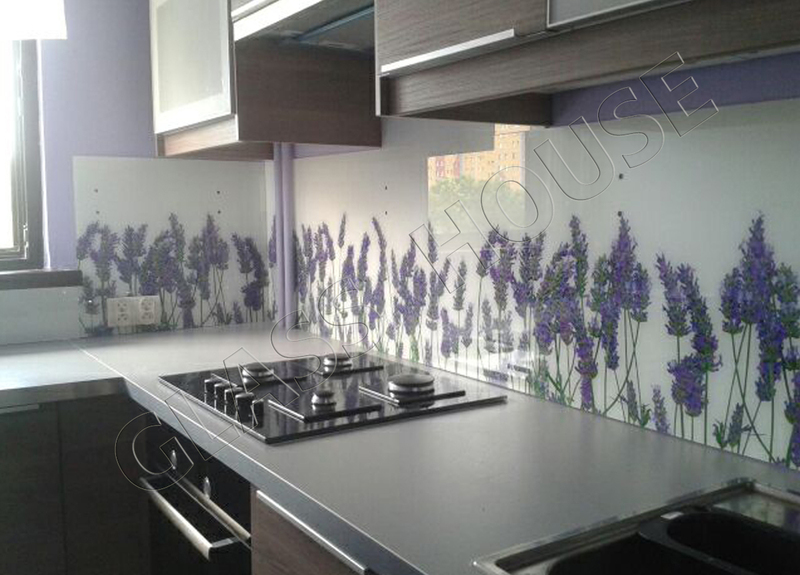 It’s up to you what pattern will be applied in the kitchen and what will be the final effect. 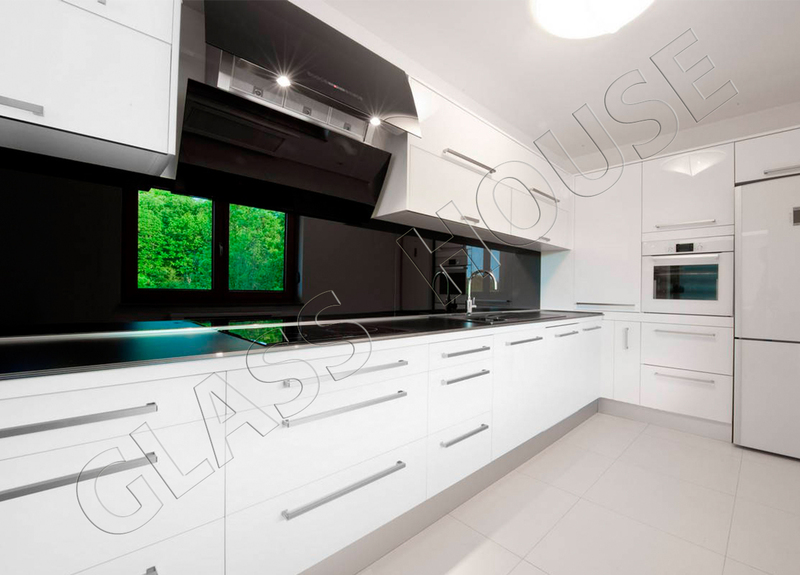 We just turn your vision into reality on the glass. 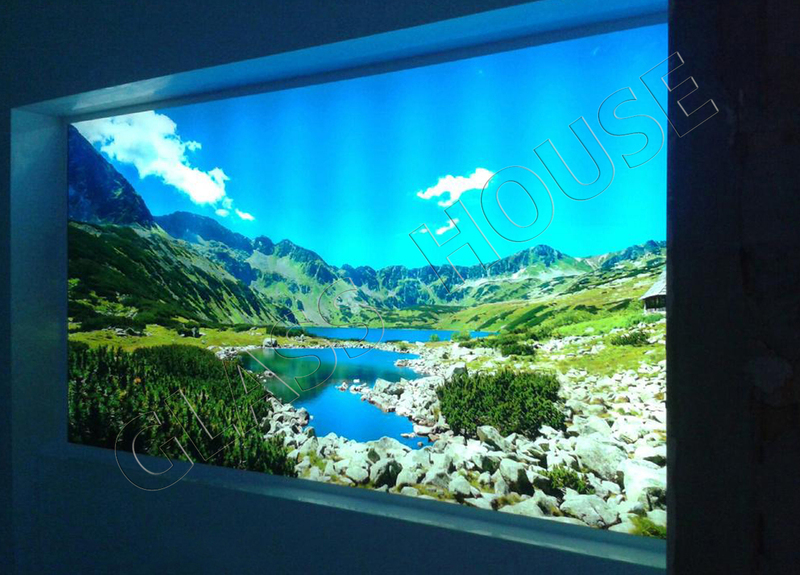 The required definition of the photo is 300 dpi. 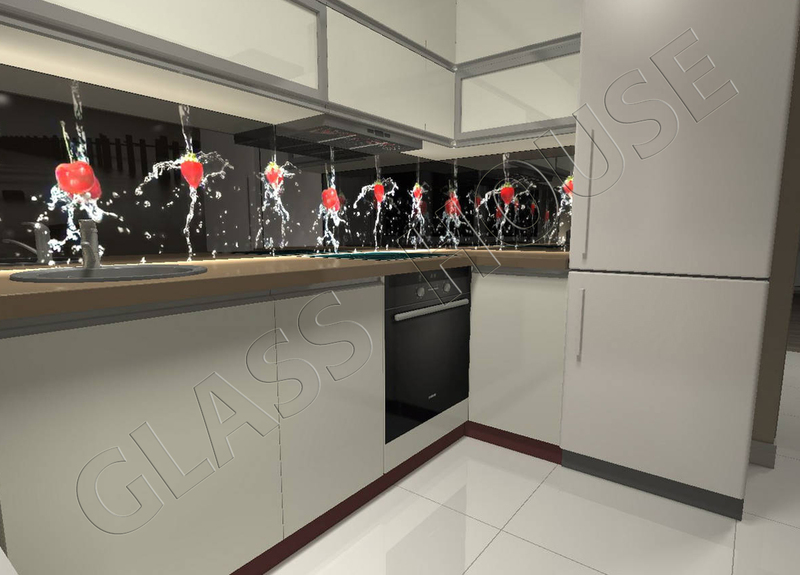 The particular type of glass we make in the defined dimensions (custom-designed product), it’s polished and it has openings for sockets if it’s necessary. 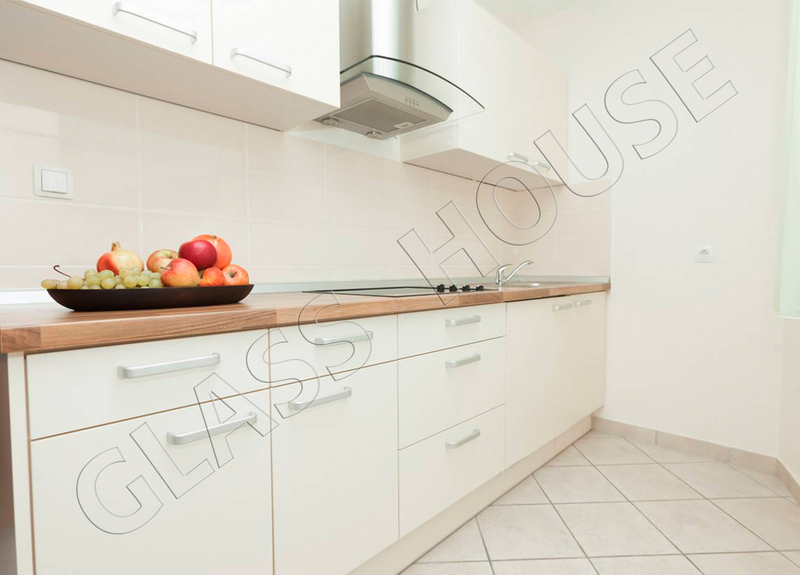 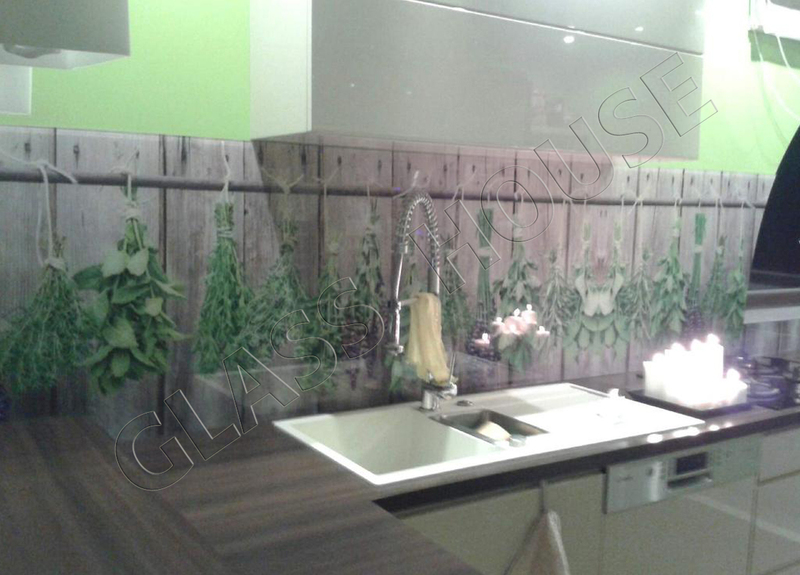 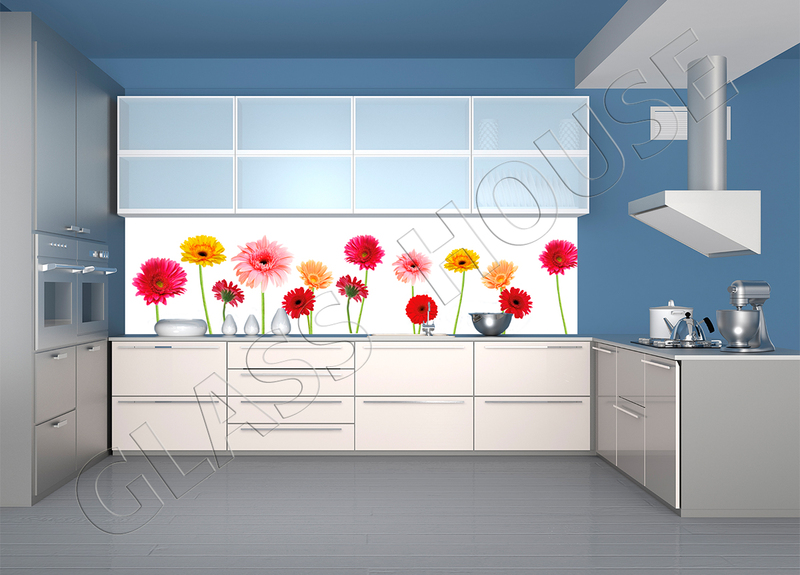 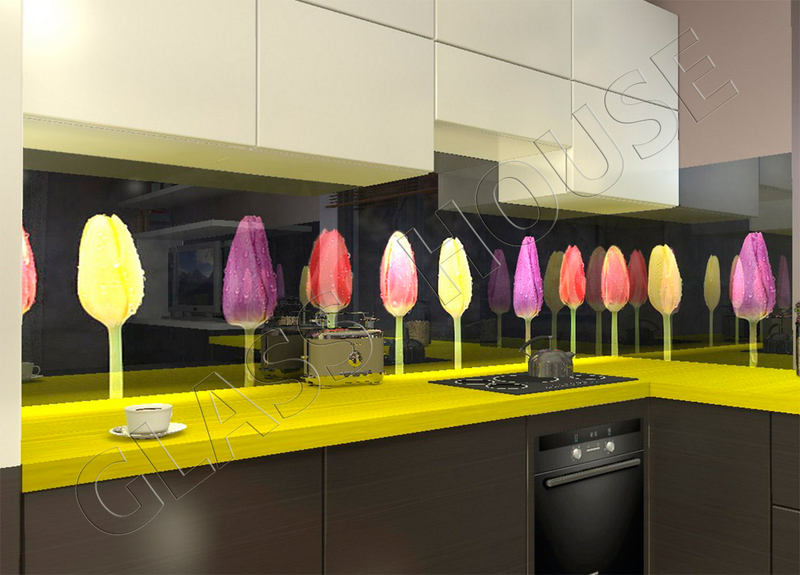 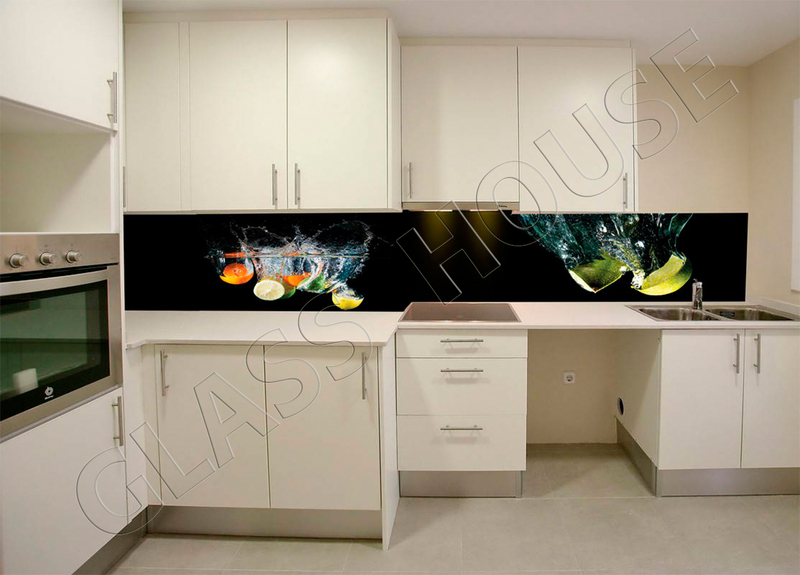 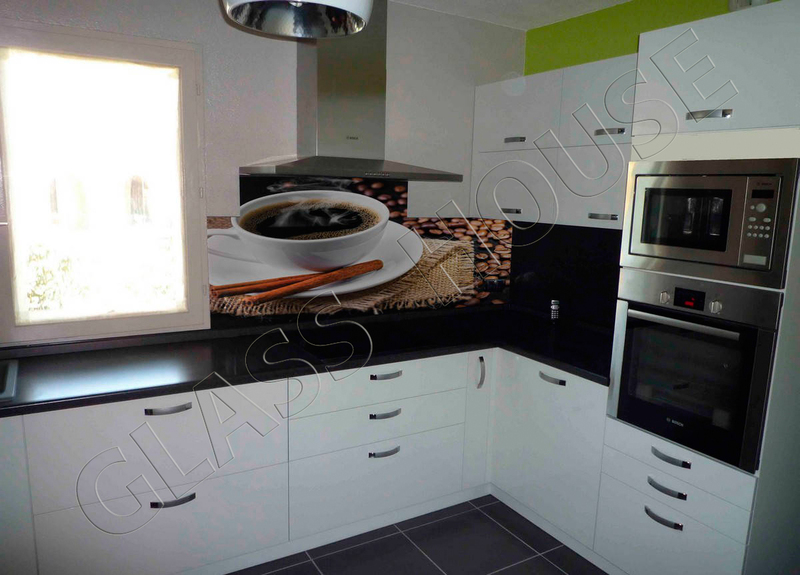 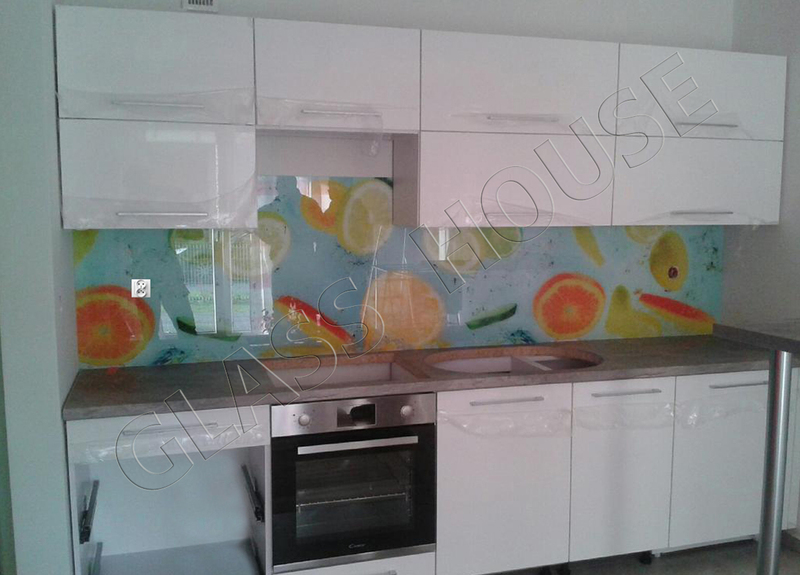 Do you want to know how much is the glass for your kitchen? 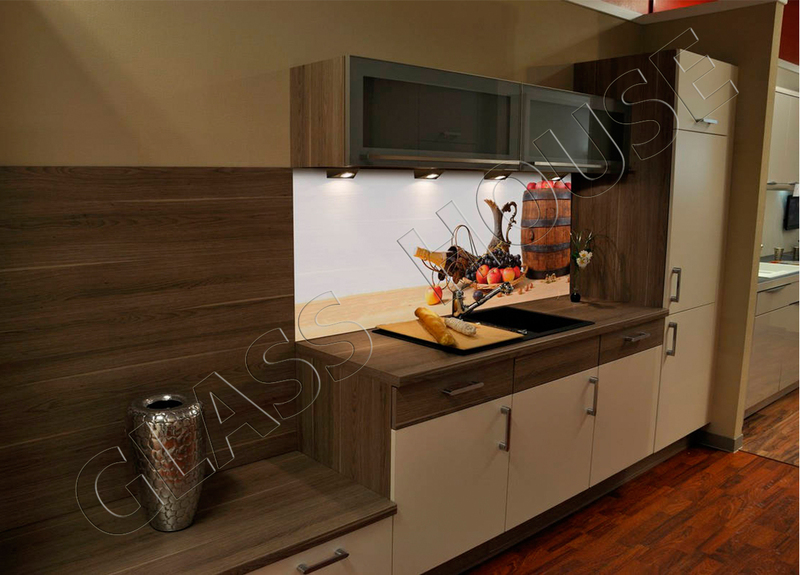 We provide you a comprehensive service, from the measurement to the installation. 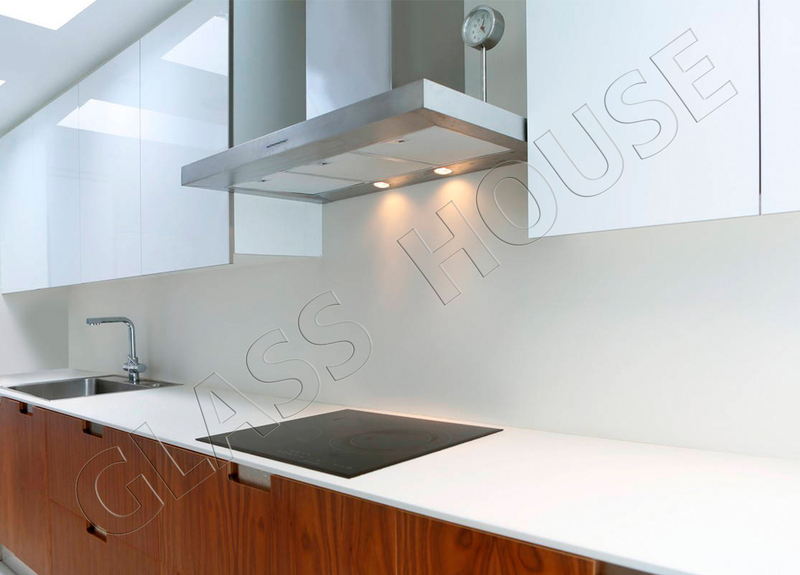 We guarantee professional service, our help while choosing an appropriate type of glass as well as short-period realization. 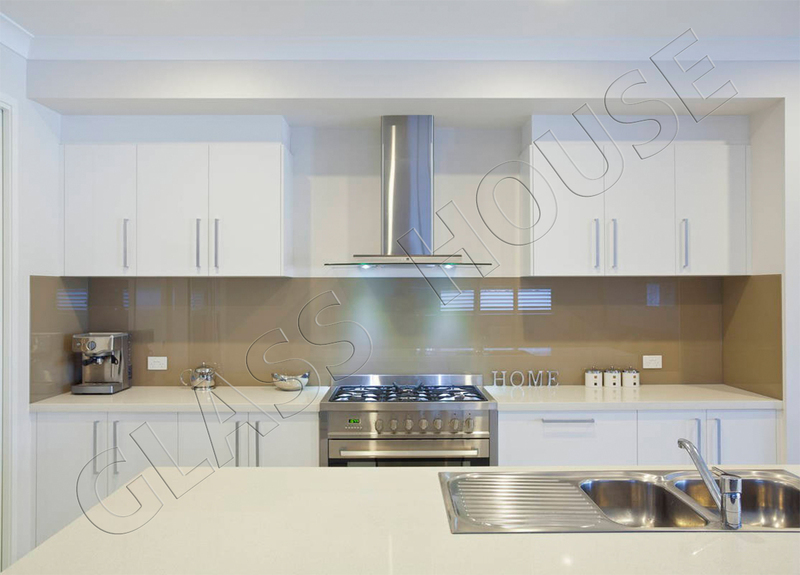 Join the group of our happy clients and book the quotation today! 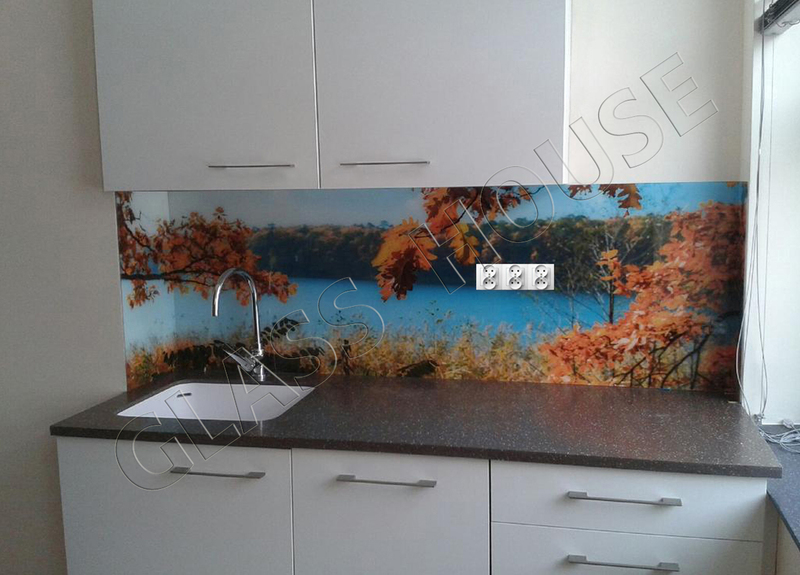 Where should you look for photos? 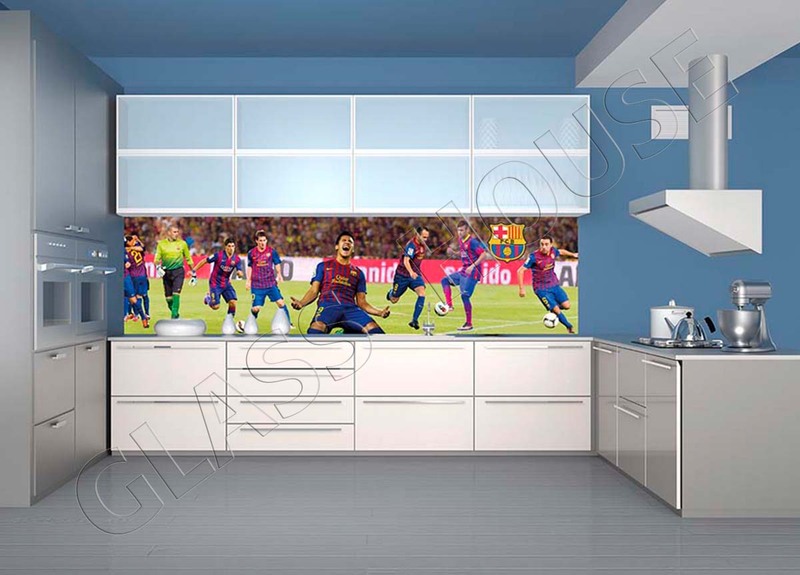 The photos should be characterized by definition of 300 dpi.